I wrote my first short story when I was four. I didn't know the alphabet yet, so I made one up. When I tried to show it to my mother, she said, "Not now, I'm busy," and so I quickly learned about rejection. Like other great writers, I didn't give up. I stayed in school and learned the Roman alphabet, which has been an invaluable tool on my literary journey. Later still, I earned a BA in English literature and French from Hollins University. Since then, I have traveled widely in the United States and Europe and spent entirely too much time in France, for reasons even I don't understand, so please stop asking. I first published work at the age of twelve, and since then have appeared in various publications, some actually reputable. They include Amarillo Bay, The Blotter, Flashquake and Center: A Journal of the Literary Arts. Like many other great writers, I have worked a series of miscellaneous and, in some cases, odd (in every sense) jobs, ranging from road crew flagperson to professional pet sitter to artist's model. These days I write SEO content, copy and web articles to pay the bills. When not writing, or reading, I enjoy yoga, jogging, snowboarding, rock climbing and traveling. 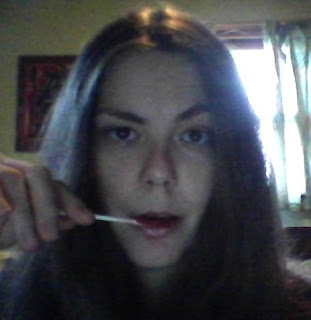 I recently quit smoking, and have a thing for lollipops. You may contact me directly at marjoriemariemcatee@gmail.com, follow me on Twitter @marjoriemcatee, or find me on Facebook.